EPS presented City of Palo Alto elected officials with a variety of options to pay for grade separation improvements designed to reduce traffic and visual and sound impacts of Caltrain commuter rail and future High-Speed Rail (HSR) service. 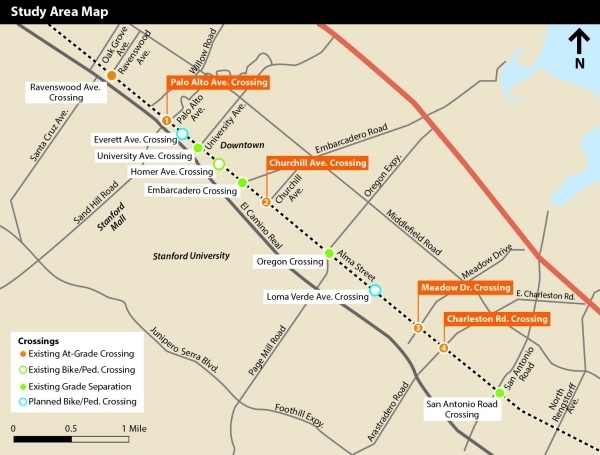 The City has four at-grade crossings along the Caltrain commuter rail corridor and is currently planning for grade separations of some or all of these crossings, as well as additional grade-separated pedestrian/bicycle crossings. Due to high costs, most of the grade separation alternatives considered by the City will likely require local funding to supplement available sources from other governmental agencies (e.g. HSR Authority and Caltrain).